Frank Lloyd Wright inspired Mid Century Modern upgraded and renovated family compound on quiet street. 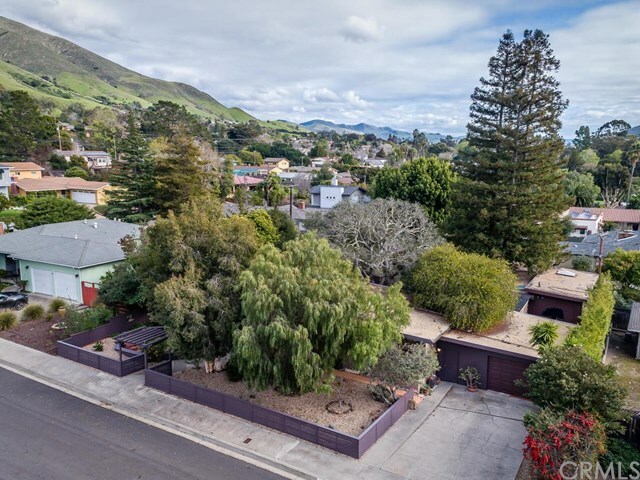 This magnificient vintage home was constructed in a "U shape with a beautifully landscaped central courtyard with redwood decking, copper railing and bench seating surrounding a legacy oak tree. Every room opens to an outside deck. The large windows allow for light to enter from many directions enhancing and blending inside with nature outside. You will instantly have a feeling of peace and serenity upon entering the living room with its high wood ceilings and a horizontal red brick fireplace in the Frank Lloyd Wright style. There are two master suites and one is separated from the main house by a covered walkway in its own wing for maximum privacy. The third bedroom is set up as guest quarters with its own small kitchenette and living area with separate entrance. The kitchen has been modernized and enhanced while still maintaining the character of the era. If you have been searching for a unique home with character and charm without sacrificing modern conveniences then look no further! Directions: From Johnson turn south on Bishop then east on Augusta and then north on Cecelia.